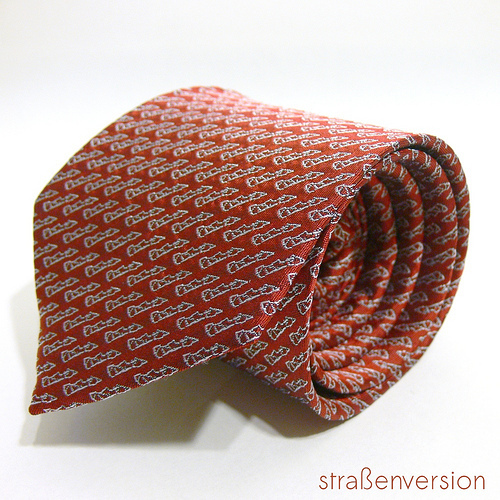 It’s amazing that last month I was pondering why there aren’t more ties devoted to motoring and motoring history, and then my friend Xander introduces a couple of ties doing exactly that with his marque of Strassenversion! Of course i’ve raved about his artwork in the past, which was then turned into some supercool t-shirts—-and now he’s launched neck ties which interest me greatly—especially since I wear ties quite often to my work at the hospital. One of them is a GP tribute, while the other one appears to be a Stratos Zero concept! Nicely done indeed! I want the Stratos one. foto of the day. hey, stop that. 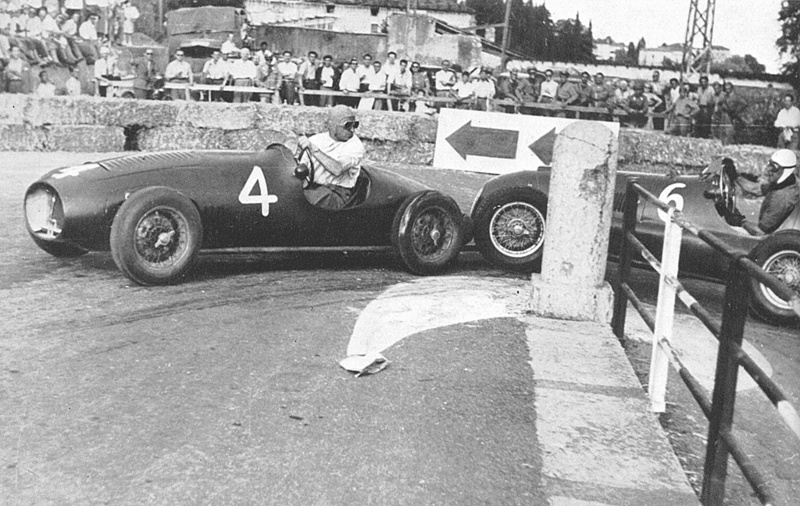 Gotta love this photo of an Osca 1100 and Ferrari 166 battling it out like real men in 1949….with Dorino Serafini giving Mario Tadini the ‘look of death’! superb! It is super exciting news to hear that F1 is finally coming close to the NYC area in 2013! The race will be held in New Jersey right across the river—–with the race having a backdrop of the Manhattan skyline. This is very exciting news for race fans living in the tri-state area, and marks the latest in the sequel of F1 coming back to the US after unsuccessful stints in Indianopolis and Detroit. Obviously there is the Austin, Texas F1 return as well, however I (a) don’t like Texas and (b) think the east coast makes a better venue for F1 racing. 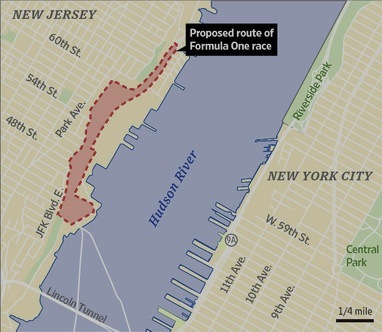 Could F1 be coming to New Jersey? Being a NYC resident, i’m hugely excited by this article. We have heard this all before, as a couple of years ago there was some buzz about F1 coming to Liberty State Park in New Jersey—-but this time, there seems to be some positivity regarding the possibilities. DO IT BERNIE, you sad old geeza! F1 4-cylinder Turbo vs. V6 Turbo…and how Audi influenced the FIA. 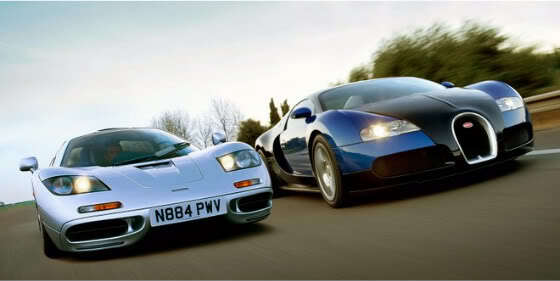 By now i’m sure you have heard the debates about Formula One switching to a V6 Turbos OR 4-cylinder Turbos by 2013/2014. 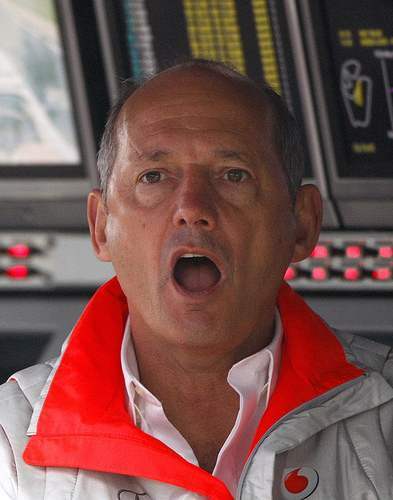 The latest news being reported by ESPN is saying that Audi was one of the primary reasons why F1 had initially agreed to switch to 4 cylinder turbos. 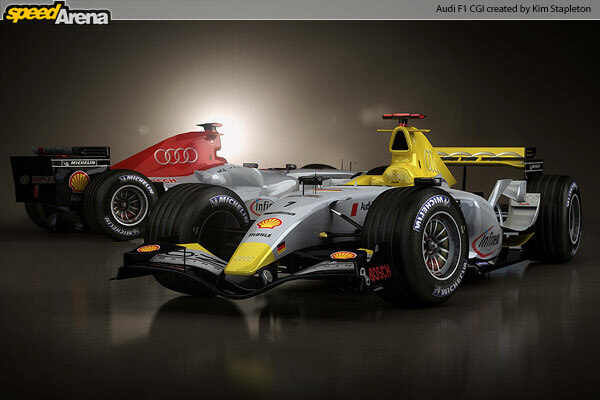 Apparently Audi had originally said they would join, and the FIA obliged by accepting the idea of the 4 cylinder turbo. After the decision was made, Audi then flipped and decided the finances weren’t working out for them to join F1—and changed their mind. Following Audi’s uncertainty about joining F1, the FIA has recently decided that it is going back to the original idea of V6 Turbos. I, personally, am a big fan of 4 cylinder turbos and feel they would have enhanced development of road going 4 cylinder turbos in street cars—-and am dissappointed that Audi retracted their original idea of joining F1. I think it would have been great if they had joined—possibly filling the void that BMW had left when they retreated from F1 a few years ago. Here’s hoping they change their minds again and decide to enter! imagine commuting to work in…. video of the day. Senna and rally cars. This is some amazing home video footage of Ayrton Senna testing rally cars. Thanks to Chris Harris for sharing this. 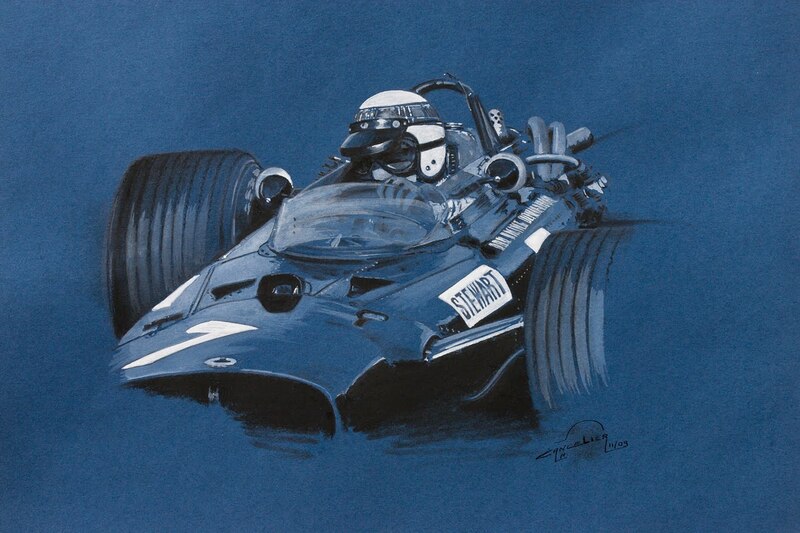 Thanks to Motorsport Retro for turning me on to this artist, Nicolas Cancelier. Some great stuff going on here, I especially love the colours he is using to capture the time of these cars. Very cool. These are available for purchase as large, high quality prints as well. Please inquire with Nicolas directly through the links provided. 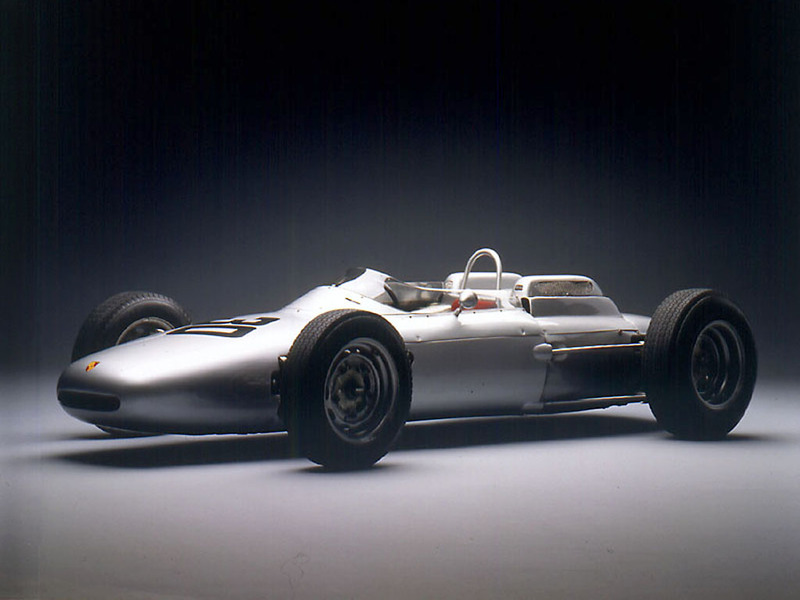 racing car of the day. 804. 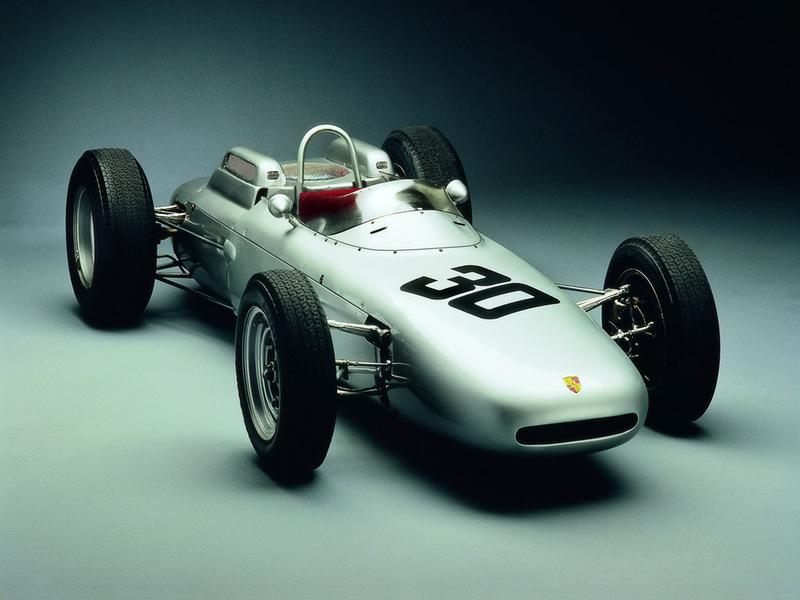 “As Porsche finally entered a car at Monaco, the first Grand Prix of the season, Dan Gurney qualified third. He was passed by Richie Ginther in the first corner but won the race after the leaders had to retire. It was the first and only official race win for Porsche as a car manufacturer. 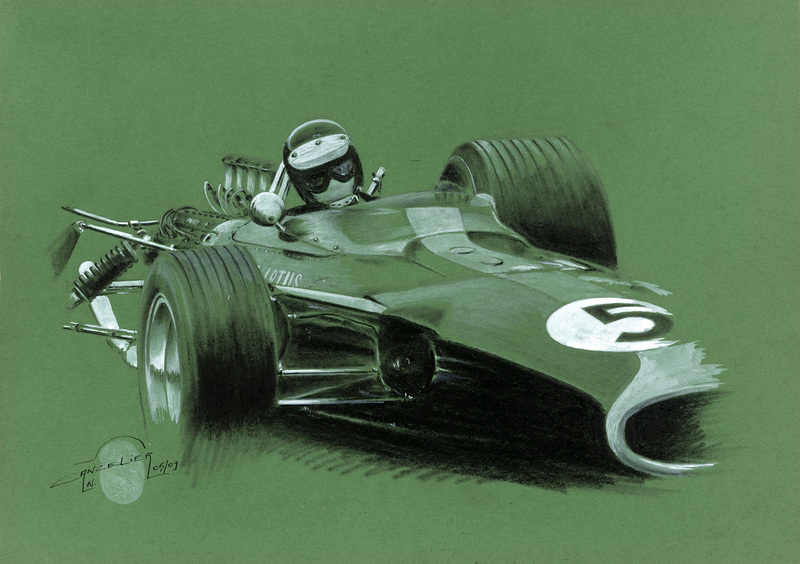 A week later, Gurney beat Jim Clark’s Lotus to win again at the non-championship Solitude GP. Porsche claimed a solid 1-2 podium finish at the 300,000 visitor event. 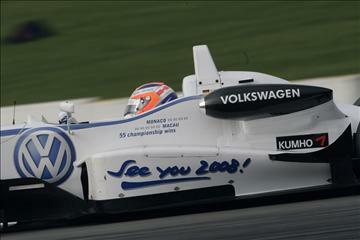 The next event was the German Grand Prix which was run in torrential rain. 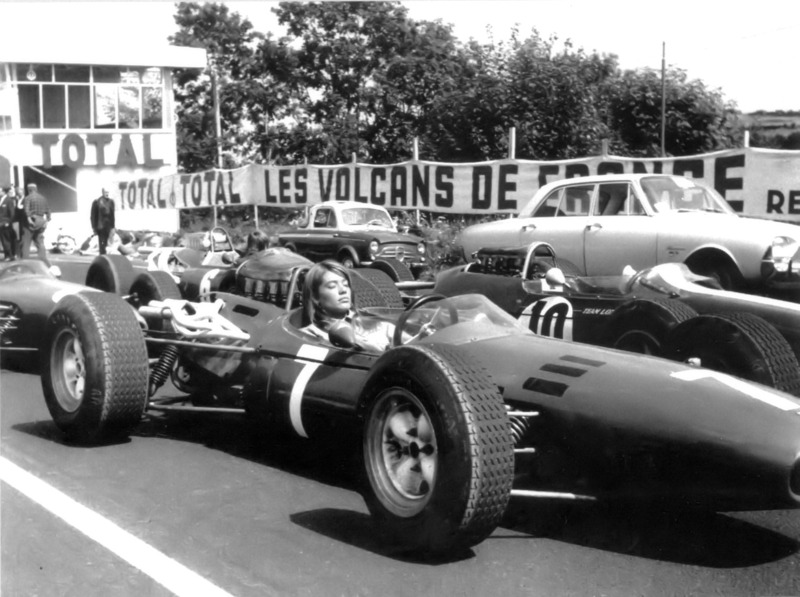 After qualifying on the pole the race was a magnificent duel between Hill, Surtees and Gurney. 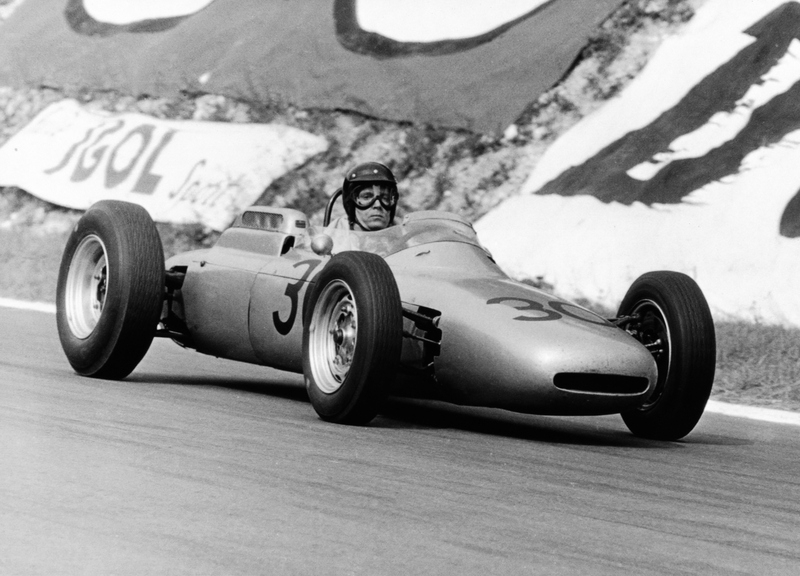 The race proved to be one of Hill’s greatest victories and Gurney finished a more than respectable third. 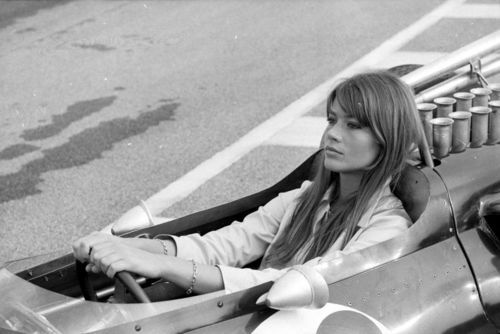 For the rest of the year the cars continued to be competitive but scored no more victories. foto of the day. 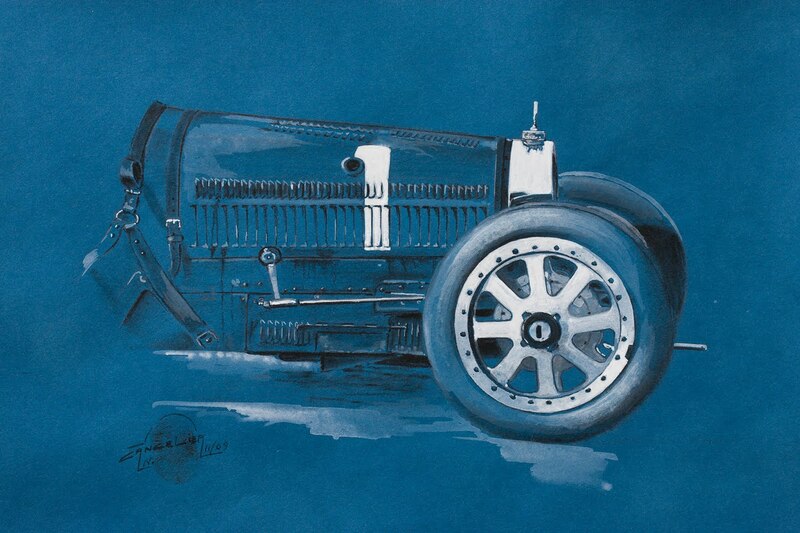 Delage. 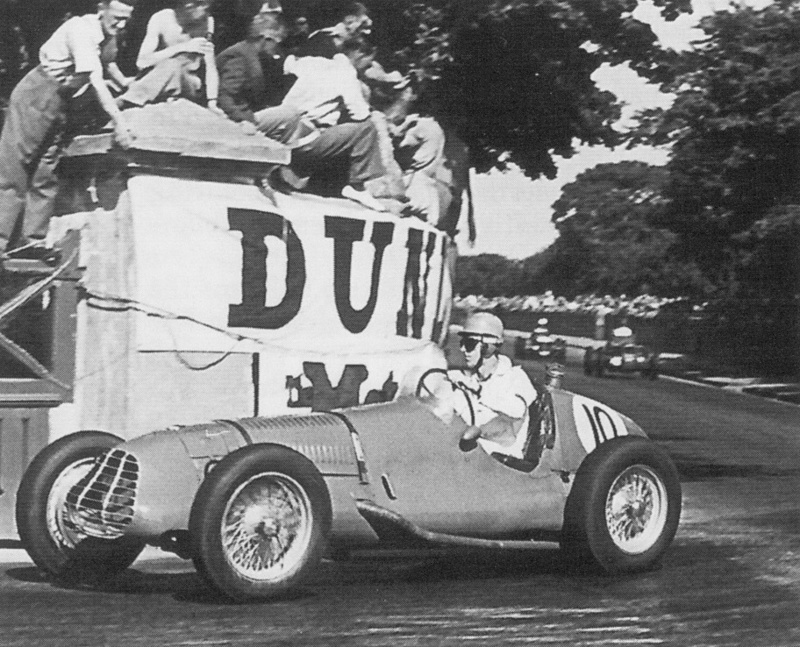 Dave Hampshire driving a Delage! Well, at least the ENGINE portion of the game…..that’s what Autocar is saying. 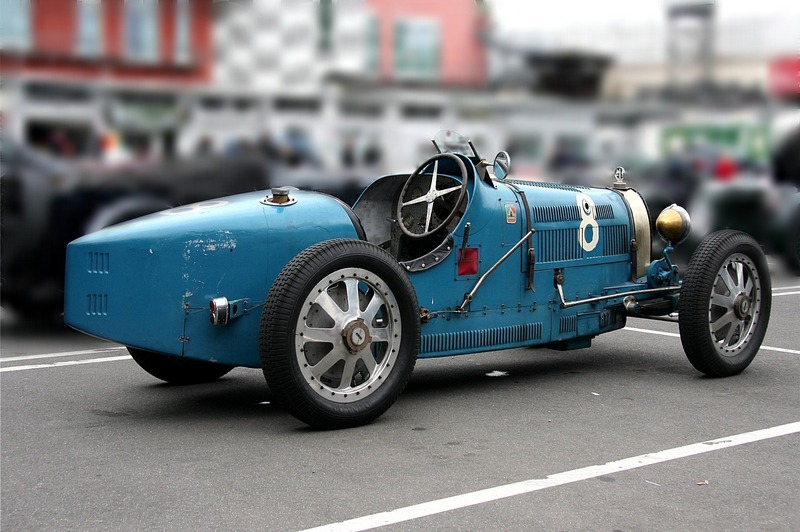 I’m still waiting for the day that VW enters F1 completely and uses the name Bugatti on blue F1 cars…imagine that…or maybe even Auto Union. Maserati held a small tribute for their roadsters, and here are a couple official photos from that photo shoot.